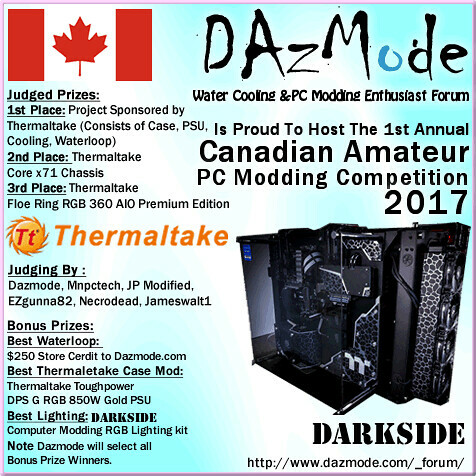 Calling all Canadian amateur modders. We are holding a nation wide amateur PC case mod competition. Up for grabs is a pile of Thermaltake and Darkside hardware with the first place prize being a sponsored project by Thermaltake. If only my top secret half finished mod wasn't in storage 650km away. Next year! !